Thanks fro commenting, however the original issue of speed effected the older version of the site in 2016. We now have new servers and a new platform, so this topic is really old and can be closed. I did report this to support and also found the original content from a backup so here is the original: I have made several posts over the years which are a combination of personal experience with hair transplants and a combination of various patient experiences also. The various topics will hopefully allow newbies and patients at the start of their own HT journeys a much better insight into the journey ahead. 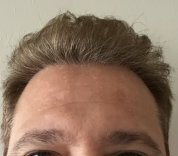 HT Tips Patience Growth Times 8-16 Months Hair Greed Expectations Hair Characteristics Post op blues Down Time Shockloss Shedding on Meds http://www.hairrestorationnetwork.com/eve/136742-%22seasonal-shedding%22-aware.html http://www.hairrestorationnetwork.com/eve/156848-hair-growth-maximising.html http://www.hairrestorationnetwork.com/eve/141684-travel-tips-hair-transplant-traveller.html Drug Chart Topic - Forum By and for Hair Loss Patients "Research-Research-Research"
Hans - Webmaster replied to Hans - Webmaster's topic in Welcome! Click here to learn how to Post! I have updated the instructions above where the "Share" link is on the actual YouTube or Vimeo page. Looks like it's working fine now. We have noticed an alarmingly high number of failed deliveries to email addresses associated with Microsoft. This will include any registration confirmation, password resets, activity notifications, newsletter and any other system message that may need to be sent to our users. Some of the effected addresses are @hotmail.com, @live.com, @outlook.com and any other mail service that is run by Microsoft. To ensure delivery, please visit this page https://support.office.com/en-ie/article/Block-senders-or-unblock-senders-in-Outlook-com-afba1c94-77bb-4f50-8b85-057cf52f4d5e#bkmk_beta and set the address forum@hairrestorationnetwork.com as a safe sender. If you are not using an address from MS, it may also be helpful if you add the address above to your safe sender list so that you will be sure to receive messages from the forum. If you still have issues, please contact me at webmaster@hairtransplantnetwork.com, or Bill at help@hairtransplantnetwork.com and we will do our best to keep the information flowing. Looks fine to me. Posted from a mobile device and shows right away on the page. Yes, this is certainly an excellent point and we actually do provide this, not here on the forum, but on the HTN. The page is https://www.hairtransplantnetwork.com/Consult-a-Physician/advance-search.asp and can be accessed from the drop menu (on all pages here) by clicking on the link in the top right"Find a Great Surgeon". This is mainly by area and we also have an Advanced Search, which then takes you to the page lined above. As to the suggestion about organizing the threads, that too is really excellent and I think Bill will have some input and provide feedback on this. Hope this does help. @Hsrp, I see what has happened here. There were a huge number of bounced messages from your email account for forum notifications and this will also trigger an account suspension, as it is really not that good is users have the wrong email address listed. Note that the bounces are from the original account : hair_trns_2010-contact@nym.hush.com host plsmtp1.hushmail.com [72.51.60.130] SMTP error from remote mail server after end of data: 554 Spam Blocked. at ./proxyd-filter.pl line 420. This means that your original account hsrp10 was disabled for the very specific intention of some form of communication so that we can make sure that both the email address you are using and your acceptance of mail from the forum is actually functioning correctly. The above address is still getting bounced forum updated and is associated with the account hsrp10. Please do make sure that your mail account accepts mail from the forum address which has been set as "webmaster@hairrestorationnetwork.com" Once that has been corrected, it is a simple matter of re-enabling your account and things should be back to normal. Hope this explains things. Please login and update your address with a valid one.